WHITE SINGLE CUT DIAMOND 0.003 TO 0.05 CT.
OFF WHITE DIAMOND/TTLB DIAMOND/TTLC DIAMOND FULL CUT White Diamond 0.01 TO 3carat. WHITE, BLACK & FANCY COLORS. 2.00carat packet Fancy intense blue diamond, size 0,01 ct.
4.02carat, VVS black diamond, round brilliant cut, ex cutting & polishing. 8.50Ct. Natural light blue diamond parcel, melee size, clarity VS. 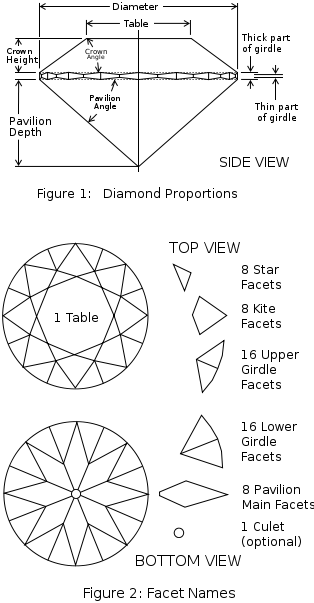 Round brilliant - Facet count and names.